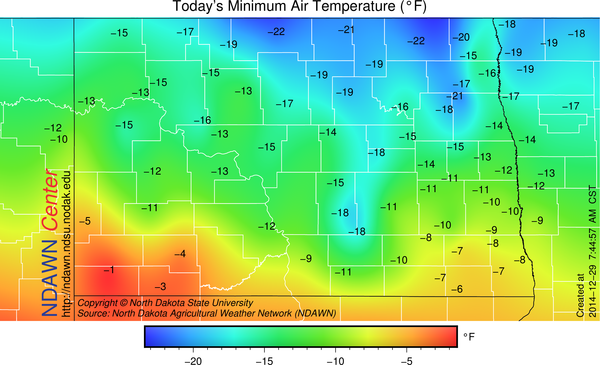 Temperatures this morning were all below zero °F across the North Dakota Agricultural Weather Network (NDAWN). The warmest readings were in southwestern North Dakota where some cloud cover kept the temperatures from dropping too far with lows just a few degrees below zero. The coldest readings were in northern North Dakota into northwestern Minnesota were some snow cover in combination with a clear sky aided in temperatures dropping to around -20°. The cold air is courtesy of an Arctic high pressure system that is currently positioned in Saskatchewan. 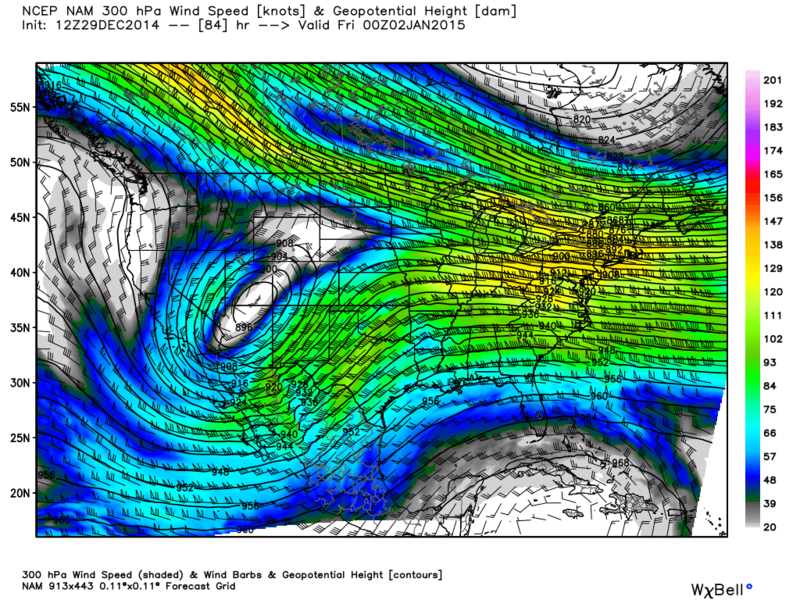 That is projected to move down the front range of the Rocky Mountains over the course of the next 48 hours. Along that path, that center of that high pressure should be in eastern Montana on Tuesday morning. That should make tomorrow morning as cold, or in the case of western North Dakota, colder than this morning. But Tuesday morning will likely be the coldest morning of the rest of the week as slightly warmer air begins to move back into the region on Wednesday into New Year’s Day. Once the high pressure center moves away from the area a sharp pressure gradient will develop meaning an increasing wind. The wind today and tomorrow will be as strong as 10-20 mph and given the air temperature will create low wind chill indices but Wednesday may be the most brutal day as the wind will be quite strong, perhaps in the 20-35 mph range that day. 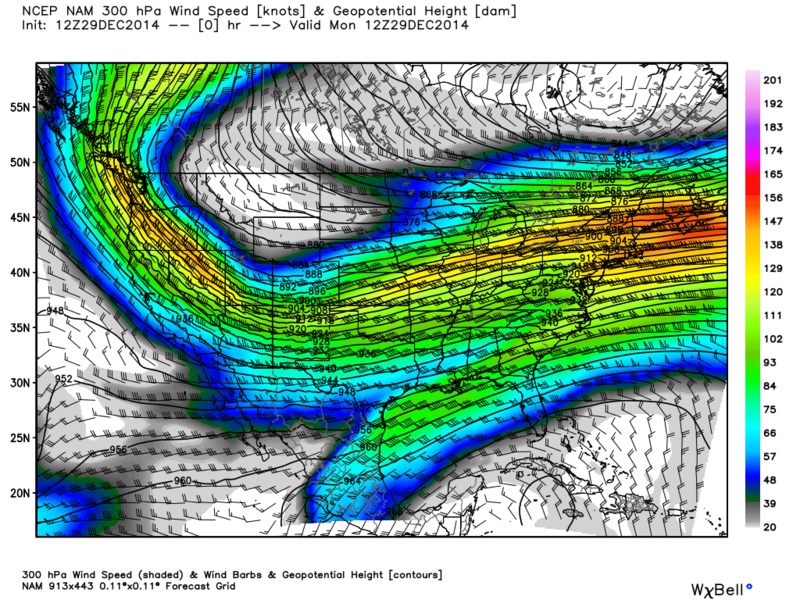 As we get into the new year, 2015, the upper-level flow will change from zonal (albeit cold zonal for the northern tier of states) to a more northwesterly flow over the upper Midwest. That adjustment to a northwest flow over the upper Midwest in turn will likely bring with it a more active weather pattern for the region as a number of Alberta Clipper system begin to impact the region. What this will likely do is bring several chances of snow (mostly light events), high variability of temperatures and periodic wind events for at least the first week of 2015, but until then, the next few days look dry and cold.